Denne LED-takspotten med fire lys har kraftig nok lys til at den fint kan fungere som hovedlyskilde. Utseendet til denne LED-takspotten med hvit overflate og sylinderformede spotter er tidløs og kan fint kombineres med flere stiler. Lyset kan rettes individuelt, for spottene har ledd slik at de kan svinges og dreies. Are the bulbs that come with this light a warm white or a cold white? The bulbs that come included with this light are warm white. However, you may purchase cool white bulbs separately and use those instead. 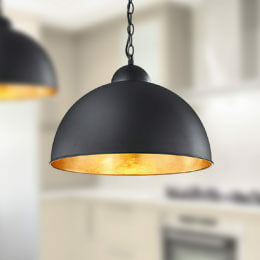 Replaced old lighting in the kitchen with two of these , they are simple and have a pearlescent finish they give off a bright but warm light . Completely revamped kitchen and make it look bigger. Definitely recommend if you want lighting that will brighten an area but blend into ceiling . Endelig godt lys i gangen. Lampen var lett å montere. Spottene er lette å snu dit di vil. Har et sterkt og godt lys. Veldig godt fornøyd med kjøpet.